For more than a decade now, our series has proudly served as a platform for a broad range of gameplay experiences. In celebration of this effort - and to showcase just how easy it can be to discover, install, and maintain custom content - we're releasing our very own 'official mod'. 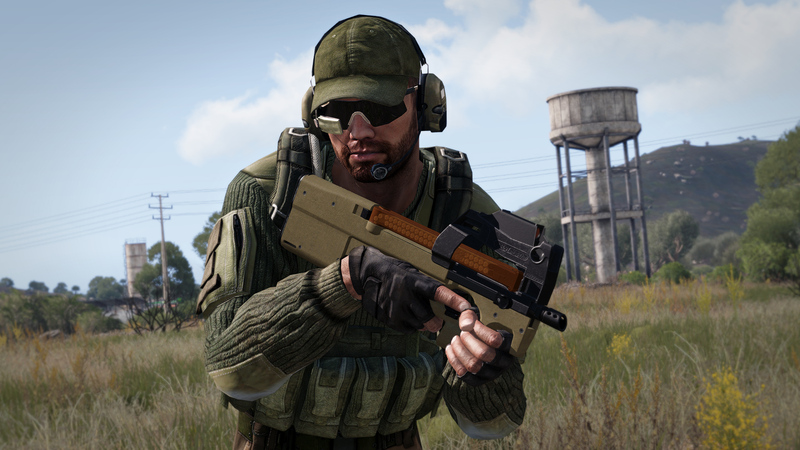 We'd like to talk a bit about what modding means to Arma 3, introduce the mod itself, and review the official tools and resources available to creators. At heart, Arma is a combined arms military game with a distinctive commitment to authentic combat on a massive scale; however, for many of our players, it's also much more besides. Hand in hand with a passionate and varied community, our open architecture and long-standing commitment to custom content has nurtured an incredible range of mods. 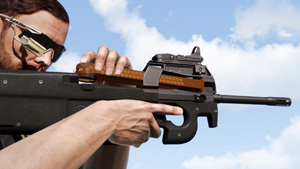 And, with Arma 3, we've set out to further strengthen our vision of the game as a 'platform'. Be it the introduction of our Game Launcher, the integration of Steam Workshop, or - just recently - the creation of the Eden 3D Editor, the last 3 years of development have further deepened our commitment to User-Generated Content. The 'official mod' we're making available serves to demonstrate these advancements and, we hope, help even more players discover the possibilities of custom content. 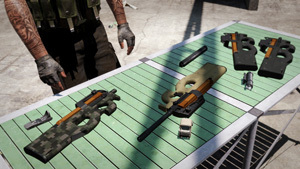 The 'ADR-97 Weapon Pack' consists of a collection of variants of the ADR-97 submachine gun, which we're making available on the Arma 3 Official Steam Workshop for everyone to download for free. 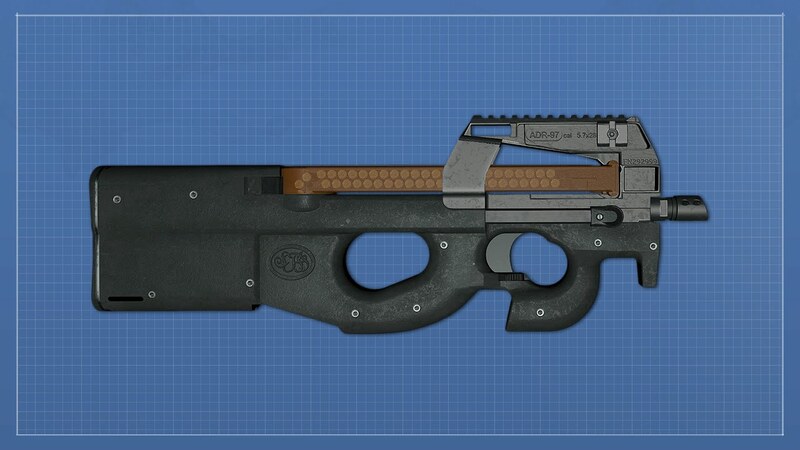 A lightweight, highly manoeuvrable firearm with a high rate of fire (plus a distinctive 50-round mag atop of the weapon), the ADR comes with inbuilt collimator sights - but some variants can also be fitted with custom optics, too. The mod was actually created by one of our very own Programmers, Jakub Horyna (aka BXBX), in his spare time. Together with the help of a few colleagues - thanks in particular to Project Lead, Petr Kolář (Pettka) for the config work, and Senior Animator Paweł Smolewski for a splendid new reload animation - Arma 3 players can download this (Stargate SG-1-inspired) beauty in just a few clicks. To help explain the process more clearly, we also put together a short tutorial video. To find out more about how to create and download mods, be sure to check out our handy 'Workshop 101' guide. Everything we used to publish our Workshop Item is available via Arma 3 Tools (plus, you can play around with some Arma 3 Samples to see some of these things in action). If you'd like to share some feedback about the tools, there's a special section of the forums ready and waiting; similarly, feedback about the Game Launcher is best shared in its dedicated forum thread. Of course, we understand that some creators will always prefer to host their work outside of Steam Workshop, to search for content on long-standing websites / hosts, and even use their own custom-built launchers (which we're more than happy to facilitate!). You can explore the alternatives and dig into more details across on our official forums. Be sure to subscribe to the Official Mod on the Arma 3 Workshop, and - if you have any feedback - BXBX will be scouring the forums. If he finds the time, you might be able to expect some tweaks, additions and upgrades in future. Once more, huge kudos to BXBX for the splendid endeavour! We're constantly blown away by the quality, variety, and creativity of mods out there. So, last - but by no means least - we'd like to sincerely thank our dedicated community of creators. Together, as developers and community, Arma 3 continues to grow from strength to strength.